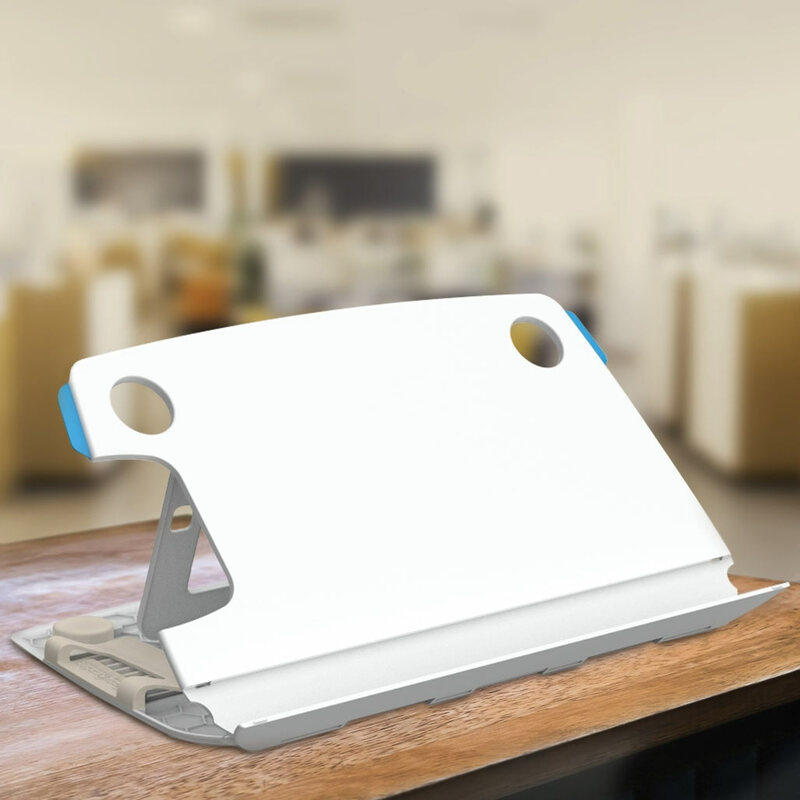 The Easy Reader II is a versatile reading stand, table stand, and clipboard. You can use it everywhere! Great for the bedroom, kitchen, traveling and for music. Use for tablets, e-readers, heavy books, magazines, laptops, sheet music and more! Lightweight and portable; conveniently fits into carry-ons and backpacks. Even promotes healthy posture. Let the Easy Reader II help reduce pain and tension while reading, studying, or transcribing notes. Alpine white color. Measures 13.75" length x 8.30" width.